With the launch of the iPhone 8, iPhone 8 Plus, iPhone X and iOS 11, a persistent rumor resurfaced. 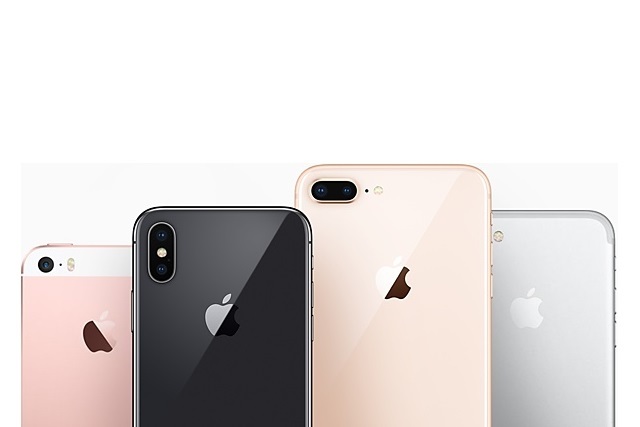 There has long been speculation that Apple deliberately slows down older iPhones in an attempt to encourage people to upgrade to the latest models. Benchmarking firm Futuremark notes that around the launch of the new iPhones, there was a surge in Google searches for "iPhone slow" -- but are people's fears actually founded in anything? Futuremark is in exactly the right line of work to set the record straight, and its test results really speak for themselves. Since 2016, the benchmarking company has gathered information about iOS 9, iOS 10 and iOS 11 on seven different iPhone models. In all, there are more than 100,000 pieces of data and tests were performed with the 3DMark Sling Shot Extreme Graphics and 3DMark Sling Shot Extreme Physics tests. 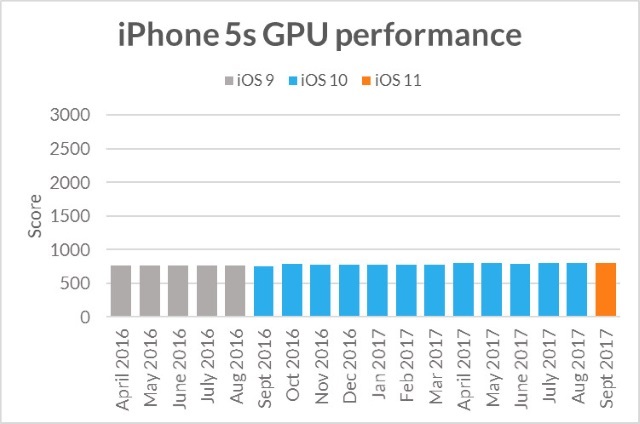 The results show that the iPhone 5s GPU and CPU performance have remained all but constant with each upgrade, save for very minor variations. GPU performance has remained consistent across iOS versions with only minor variations. The graphs for CPU performance show a very slight drop in performance over time -- possibly due to minor iOS updates or other factors - but a user would be unlikely to notice this small difference in everyday use. So, what's the explanation for the spike in searches relating to iPhone slowdown? Are people paranoid? Our benchmarking data shows that, rather than intentionally degrading the performance of older models, Apple actually does a good job of supporting its older devices with regular updates that maintain a consistent level of performance across iOS versions. That said, there are some factors that might affect people's perception of performance after updating an older device with a newer version of iOS. An update might add new features that use more resources or require more processing power. New apps developed for the latest models might not run as smoothly on older devices. Conversely, apps designed for an earlier version of iOS might not take full advantage of optimizations in the latest version. And then there is always the psychological effect of knowing that there is a new and improved model available, which can make your own device seem outdated. Check out Futuremark's full results over on its website.